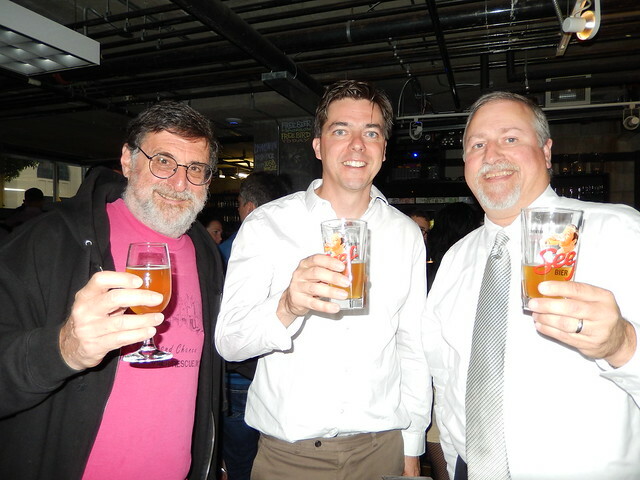 Today is the 43rd birthday of Johan Van Dyck, who founded Seef Beer in Antwerp, based on an old style that he worked hard to resurrect after it had died out, despite having been the most popular local beer for many years before two world wars. I first met Johan in San Francisco when he was here with his importer to launch the brand and I wrote about the beer for my newspaper column. 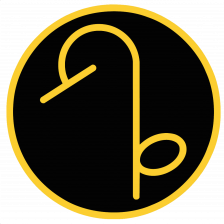 The company is now called Antwerpse Brouwcompagnie. It was originally a contract brew, but Johan has opened a production facility in the Noorderpershuis, which was originally a power plant. I’ve since run into him a few times in Belgium, and I’m very glad to see his beer succeed. Join me in wishing Johan a very happy birthday. 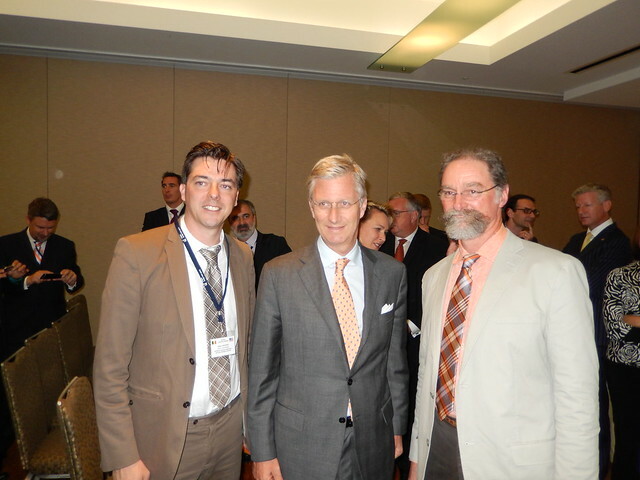 Johan with the King of Belgium (though he was still the prince when we met him), and Bob Leggett from Artisinal Imports. 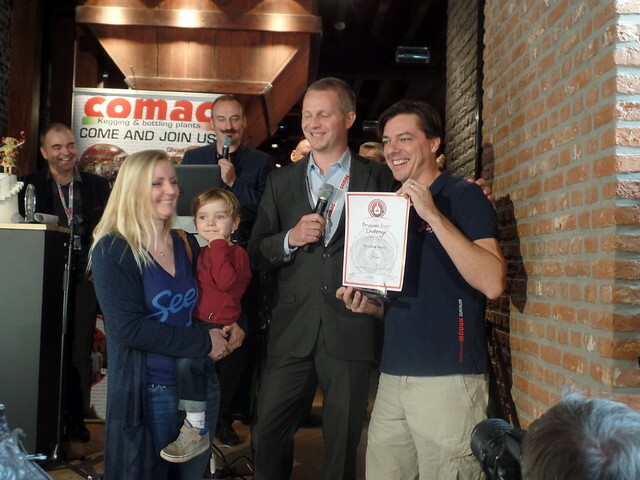 Johan winning an award at the Brussels Beer Challenge in 2015. Today is the birthday of Samuel Whitbread (August 30, 1720-June 11, 1796). 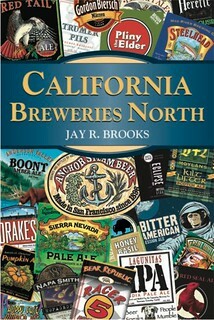 He founded a brewery with a few partners in 1742, but was the largest investor and retained control of the venture. In 1799 his brewery was renamed Whitbread & Co. Ltd. He was also “appointed High Sheriff of Hertfordshire for 1767–68 and elected Member of Parliament for Bedford in 1768, and held the seat until 1790.” The portrait of Samuel Whitbread below was painted by Joshua Reynolds. 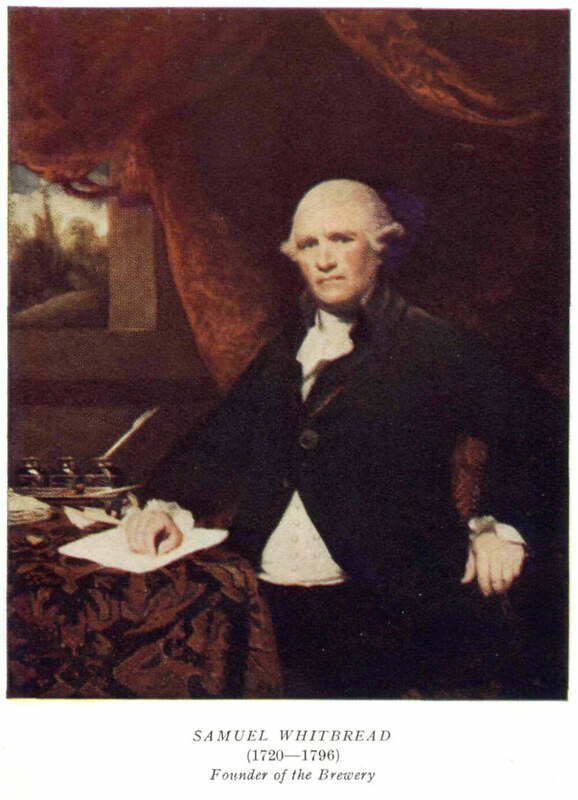 Whitbread, Samuel (1720–1796), brewer and landowner, was born on 30 August 1720 at Cardington, near Bedford, the seventh of eight children and the youngest of five sons of Henry Whitbread (d. 1727) and his second wife, Elizabeth Read. The Whitbread family were of prosperous nonconformist yeoman stock, farming their own land and closely associated with leading Bedfordshire puritans. Whitbread’s father was receiver of the land tax for Bedfordshire, and his first wife was the daughter of John Ive, a London merchant. 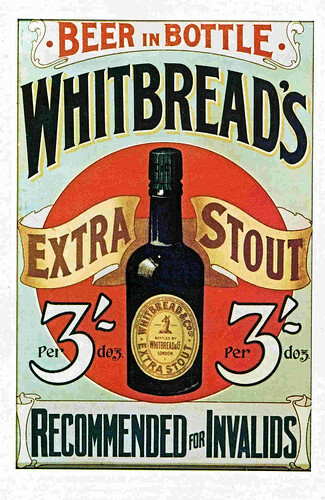 This gave Whitbread the advantage, through a half-brother, of a connection in the City when his widowed mother apprenticed him at the age of sixteen to John Wightman of Gilport Street, a leading London brewer, for the large fee of £300. 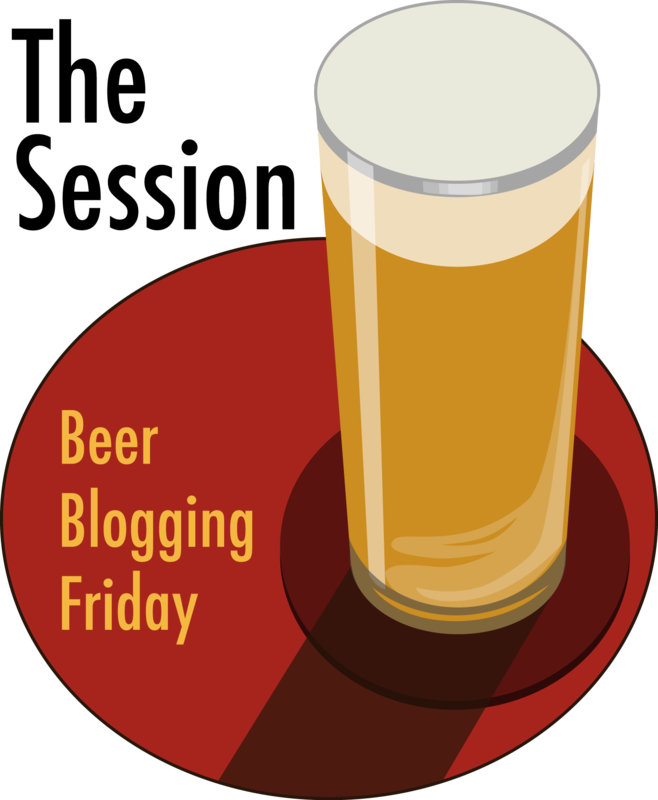 He set up in business himself in December 1742 with two partners, Godfrey and Thomas Shewell, buying a small brewery at the junction of Old Street and Upper Whitecross Street and another brewhouse for pale and amber beers in Brick Lane, Spitalfields. Whitbread brought an inheritance of £2000 to the firm, plus the proceeds of a small family holding in Gloucestershire, and loans from friends and kinsmen in Bedfordshire. He became free of the Brewers’ Company on 8 July 1743. 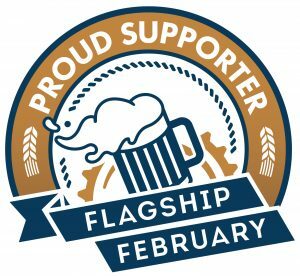 The partnership was valued at £14,016, owning the leases of 14 public houses, with further loans to publicans, and deployed 18 horses and almost 18,000 casks. However, this was the prelude to a dramatic new venture. Godfrey Shewell withdrew from the partnership as Thomas Shewell and Samuel Whitbread borrowed more to buy the large site of the derelict King’s Head brewery in Chiswell Street in 1750. 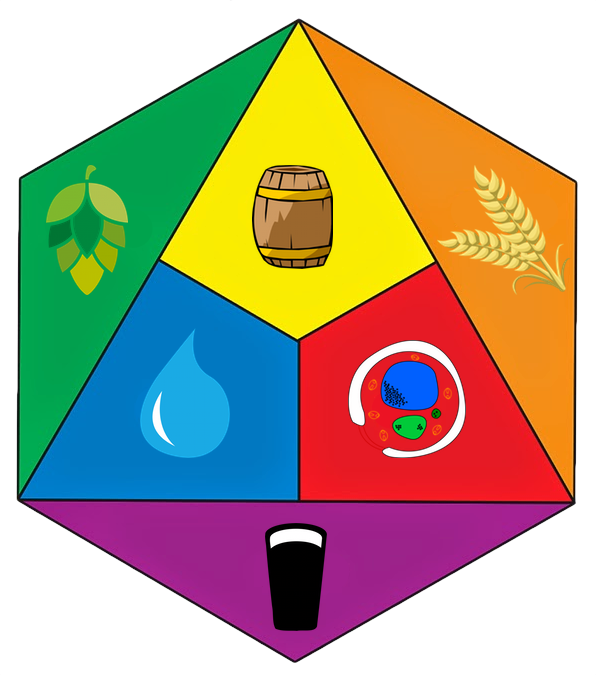 The new brewery was specifically for the single product porter, the basis for the vast brewing enterprises then being developed in London by Henry Thrale and Sir Benjamin Truman. It was named the Hind’s Head brewery after the Whitbread family coat of arms. From the outset Whitbread was the leading partner financially, solely responsible for management, and Shewell withdrew completely in 1761, Whitbread buying out his share for £30,000. Great expansion ensued, with such notable innovations as vast underground cisterns containing 12,000 barrels of porter, designed by John Smeaton, and benefiting from installation of only the second Boulton and Watt steam engine in London (Henry Goodwyn, also a brewer, had beaten him by a matter of months). Public renown came on 27 May 1787 with a royal visit to Chiswell Street—by the king and queen, three princesses, and an assembly of aristocrats in train—with James Watt on hand to explain the mysteries of his engine. In the year of Whitbread’s death, 1796, the brewery produced an unprecedented total of 202,000 barrels (that is, almost 30 million quart pots of porter). Great investment in the brewery did not preclude Whitbread’s amassing a personal fortune and large estates. On his marriage in July 1757 to Harriet, daughter of William Hayton of Ivinghoe, Buckinghamshire, a leading London attorney, Whitbread began buying land in Cardington, the locality of his birth. His wife died in 1764, leaving him with an only son, Samuel Whitbread (the couple also had two daughters). Whitbread went on to buy the Bedwell Park estate in Hertfordshire in 1765, and he also owned London houses, first at St Alban’s Street, Westminster, and then at Portman Square (from 1778), together with a large house in Chiswell Street by the brewery. In 1795 shortly before his death he bought Lord Torrington’s Southill Park estate in Bedfordshire and immediately engaged the architect Henry Holland to rebuild the existing house. Whitbread had by this time accumulated a landed estate worth some £400,000. Affluence brought higher social status and also Whitbread’s second marriage on 18 August 1769 to Lady Mary Cornwallis, younger daughter of Earl Cornwallis; but she died in 1770, giving birth to a daughter, Mary Grey (1770–1858). Whitbread became MP for Bedford in 1768, mainly, but certainly not always, supporting the tory interest until his son took over the seat in 1790. He was regarded as completely independent of the administration and spoke mainly on matters pertaining to the brewing industry, save that he was a firm advocate of the abolition of the slave trade. Whitbread died on 11 June 1796 at Bedwell Park. He appointed his three senior clerks as his executors because his son was ‘a perfect stranger to the whole’ (Mathias, 309). Whitbread not only had his own portrait painted by Sir Joshua Reynolds, but he also commissioned Thomas Gainsborough, Gainsborough Dupont, and George Romney to paint portraits to hang in the library at Southill of all nine of his senior clerks and brewers, in recognition of their importance in managing the business. Unfortunately, in their very rich gilt frames the pictures had to observe the dissipation of the great fortune by the younger Samuel Whitbread as he pursued a costly social and parliamentary career, neglecting the brewery which had been the source of the family’s wealth and prestige. 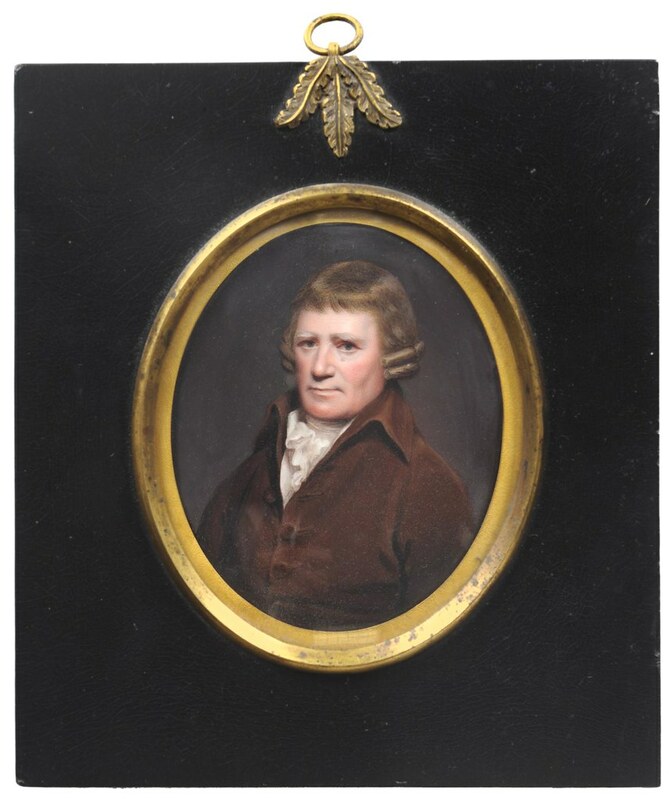 A miniature portrait of Samuel Whitbread, by Henry Bone. Samuel Whitbread, at the age of 14, was sent to London by his mother in 1734 to become an apprentice to a brewer. Whitbread, raised as a Puritan, proved to be an extremely hard worker. 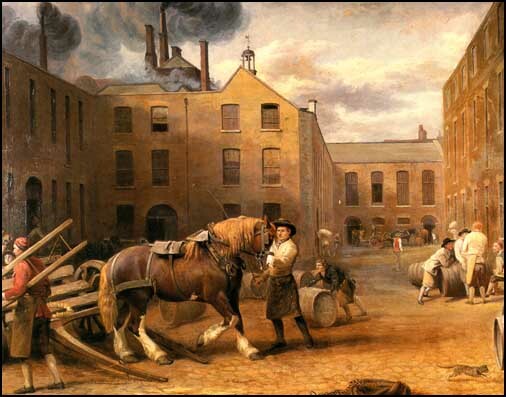 In 1742, eight years after coming to London, he established his own brewery with a £2,000 inheritance and additional underwriting from John Howard, the renowned prison reformer. As the brewery became successful, Howard’s investment became more lucrative—it even led to a reciprocation of financial support by Whitbread for Howard’s reform movement. By 1750 Whitbread had acquired an additional brewery located on Chiswell Street. At this time there were more than 50 breweries in London, but, despite intense competition, the Whitbread brewery expanded rapidly. By 1760 its annual output had reached 64,000 barrels, second only to Calvert and Company. 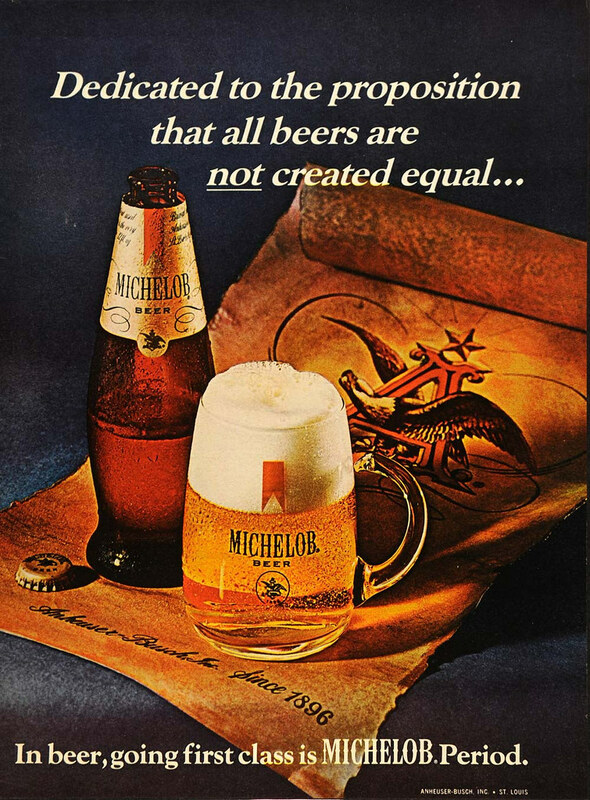 Whitbread was enthusiastic about new brewing methods. He employed several well-known engineers who helped to improve the quality and increase the production volume of the company’s stout and porter (a sweeter, weaker stout). The Whitbread family had a long history of involvement in English politics. Samuel Whitbread’s forefathers fought with Oliver Cromwell’s Roundheads during the English Civil War and later developed a connection with the Bedfordshire preacher and author John Bunyan. Samuel Whitbread himself was elected to Parliament in 1768 as a representative of Bedford. His son, Samuel II, succeeded him in Parliament in 1790, and Whitbread descendants served in Parliament almost continuously until 1910. Samuel Whitbread died in 1796.